The Beauty Buff Blog: Dr. Woolery-Lloyd Answers My Burning Summer Skin Questions! Dr. Woolery-Lloyd Answers My Burning Summer Skin Questions! Happy summer people! It's officially official, summer is here and we can finally all bask in the hot, sticky weather and enjoy plenty of icy beverages and grilled yumminess. Now that it's socially acceptable to break out your head to tow white ensembles and frolic around in itty-bitty swimwear, it's a good time to chat about your number one accessory for the season: your skin. Properly protecting your skin from the sun is the best piece of advice any doctor or beauty professional can give you to help keep your skin looking youthful and healthy. There are so many misconceptions about when and who should be wearing sunscreen and what the actual effects of prolonged sun exposure are. Myths: People with darker skin tones don't need to wear as much sunscreen and are less susceptible to skin cancer; you only need to wear sunscreen when you're lying out by the pool or on the beach; you don't need sun protection when it's cloudy out. Between all the questions we all have about skincare in the sun and what products work best, I thought it would be a good time to enlist professional help. 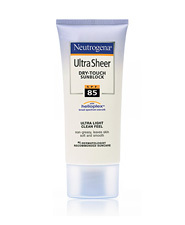 Q: What are your top 5 favorite sunscreens? What makes them good for women (not greasy, looks good under makeup, not too smelly) and how often should you apply it? A: For everyday use-just apply in the morning. It is optional to reapply in the afternoon. For outdoor use (i.e. hiking or beach) reapply every 2 hours. 1. Aveeno Positively Radiant- it’s a lightweight moisturizer with sunscreen and also contains soy to even out skin tone. 2. Neutrogena Ultra Sheer Dry Touch-it’s great for outdoor use and has excellent broad-spectrum coverage when you don’t want to get any sun. 3. Elta MD SPF 41- it’s a great tinted sunscreen. 5. La Roche-Posay Anthelios 60 Ultralight Sunscreen Fluid-it’s extremely lightweight for people who don’t want to feel like they are wearing anything at all and people with acne. Q: What's the minimum SPF you should be using? Q: Should you only use products with Helioplex? What is Helioplex protection? A: Helioplex is a complex that provides long term UVA coverage. Most sunscreens run out of UVA coverage in 2 hours. 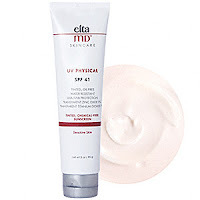 This provides long term UVA coverage. Helioplex is great for people with melasma because their condition gets worse with any sun exposure. Every sunscreen has its benefits (see my list above) so it really depends on your needs whether you should use helioplex. I recommend it for people who have melasma or people with extreme sun sensitivity. Also mexoryl, the ingredient in Antehelios, offers long term UVA coverage. Q: Many women don't want to wear sunscreen under makeup because it looks oily, it smells and they are going to be sitting in an office all day. How should one properly apply it and what products avoid these issues? A: All of the sunscreens that I listed above can be used easily under makeup. But for people who don’t want to apply lotions, you can always use a mineral makeup (like Colorscience) that has sunscreen in it. Q: I seem to break out when I use sunblock. Why is that and what can I do to prevent that? A: You could be allergic to one of the ingredients in sunscreen. Sunscreen allergies can cause little red bumps, redness, stinging or itching. If this is the case, then you need to switch to physical blockers such as Vanicream Sensitive Skin. The most common sunscreen allergies in chemical sunscreens are to the ingredients such as avobenzone and oxybenzone so you could also look for sunscreens that don’t have these ingredients. The other option is that you have acne, and the oils in the sunscreens cause you to get pimples. Then I would suggest the La Roche Posay Antehelios 60 Ultralight Sunscreen Fluid, which is extremely lightweight and does not cause acne. Q: What makeup brands with SPF do you like? What are your opinion on makeup with SPF? A: I like the mineral makeups with SPF such as Colorscience. These are great for people who don’t like to apply sunscreen lotions. Q: Some skin creams have an SPF in them. Do you recommend these or do you think it's important to put on sunscreen on separately? A: I highly recommend moisturizers with sunscreen for everyday use. They are easy and convenient. 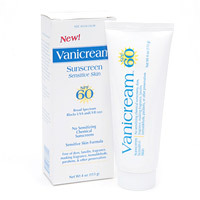 For people with melasma or extreme sun sensitivity I recommend a separate sunscreen. Q: The biggest issue I notice with mineral makeup (that has natural SPF protection) is it makes my skin look chalky and white because of the zinc. Are there any products you like that don't have this issue for women with darker skin tones? A: This is an ongoing issue and I don’t think anyone has completely solved this problem yet. Q: People with dark skin tend to have bad under eye circles. Why and how do you prevent this? A: Sometimes daily sunscreen use can help to prevent dark circles from getting worse with time. 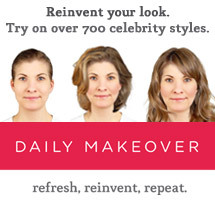 For many people, dark circles are hereditary. 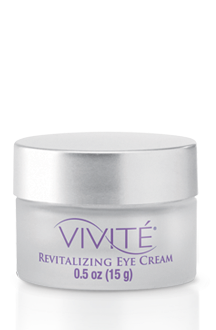 But I do recommend skin brighteners that can be used in the sensitive skin under the eyes such as Vivite. 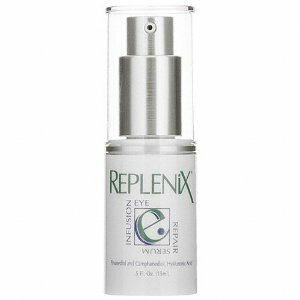 Also antioxidants like Replenix Infusion Eye Repair Serum with green tea have worked for some of my patients. Q: There's a common belief/misconception that if you have darker skin you don't need to wear sunblock because they’re less susceptible to skin cancer. What's the truth? People with dark skin do have a lower risk of skin cancer but still need to wear sunscreen. First of all, I have African American patients that have gotten skin cancer on the face so it can happen (especially for people who are outside a lot with sports like tennis and swimming). As a separate issue, most darker skinned patients complain of uneven skin tone and hyperpigmentation and sunscreen is absolutely essential to prevent this. Q: The biggest issue I want to avoid now is wrinkles. How important is it to wear sunscreen to reduce wrinkles, fine lines and age spots? A: Extremely important. 80% of aging and wrinkles is due to external causes such as UV radiation, pollution, and smoking, (about 20% is genetic), so sunscreen is your first defense. Q: What sun exposed areas do most people tend to forget about that end up showing signs of aging most quickly? The hands and chest. I always tell my patients not to forget sunscreen on the chest, neck and hands. Also, it’s important to apply anti-aging creams there too. Thanks for all the sunscreen help.Wearing a sunscreen is a must to protect the skin from tanning as well as keep it safe from the harmful uv rays.The more chemical free the better. Thanks for the comment! Sunscreen is sooo important, isn't it!? The more sunscreen, the less wrinkles, right!? Let me know if I can discuss any other topics of your interest! Thanks for reading!